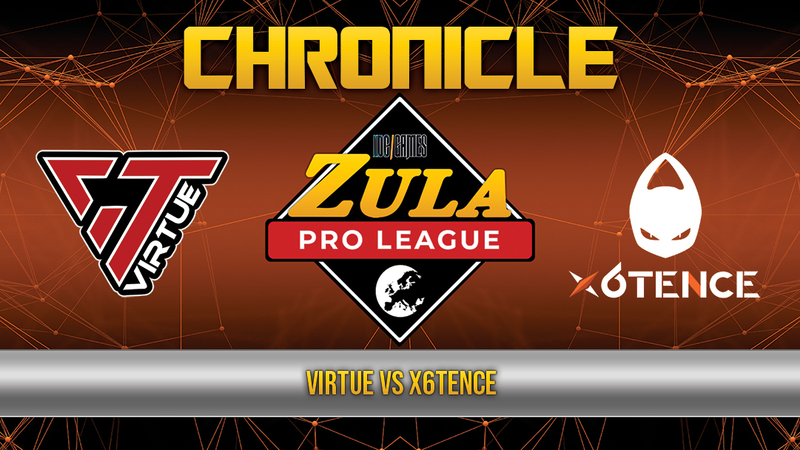 The third match of the Zula Europe Pro League took place against the VirtuE, the first classified for the Pro League through the Qualifying Tournaments, against the aliens of the Spanish Esports Organization, x6tence. The maps chosen were Old Town and China. In the first map the Polish players showed a great level against the Spanish organization obtaining a result of 10 - 3. The MVP of this game was b07a, which carried out key kills for the victory of his team and obtained a KDA of 2.37 (15/8/4). The team of x6tence carried out a quite bad defense turn in which they conceded 6 rounds to VirtuE, which meant the defeat in the match after 3 attacks in vain very well defended by the Polish team. On the second map we could see a completely reversed situation. x6tence, which started attacking, ended up defeating the polish players with a result of 10 - 3. In this case the MVP was hunteR, with a KDA of 2.5 (13/8/7). 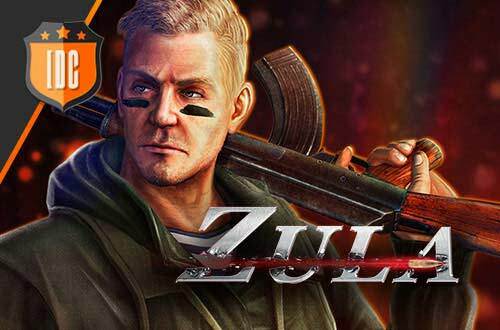 x6tence managed to score seven rounds in his turn of attack, which put in a very compromised situation the Polish players, who could not do anything against the superb defense of the aliens, who only conceded a round in defense before reaching the victory. 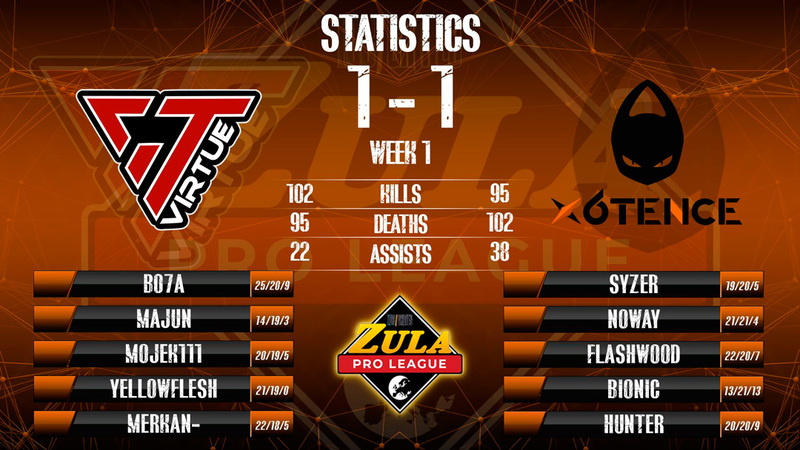 The final result was 1 - 1, which means 1 point for each team in the Zula Europe Pro League classification.